165) Bike series (14/15). Faithful readers know that if I find an opportunity to grab a quick rest, I’m going to grab it! 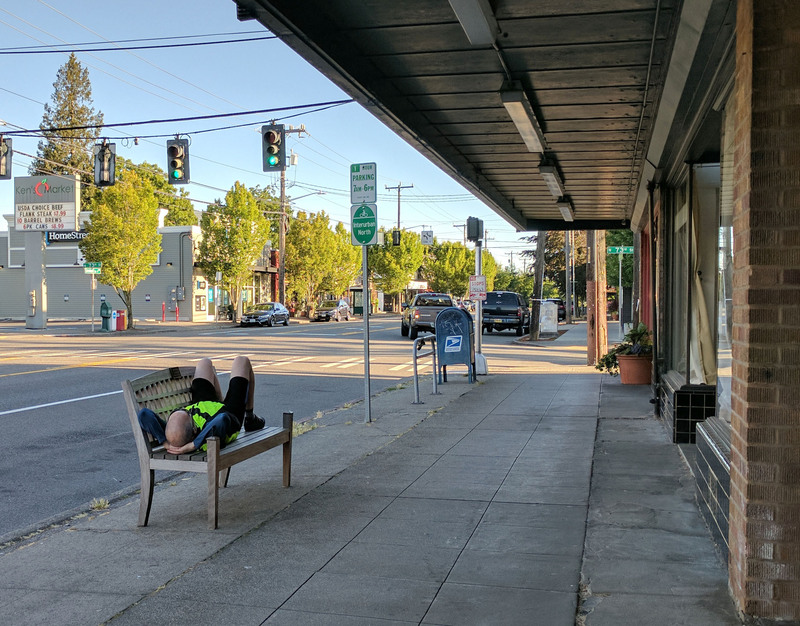 Photographing mailboxes is hard, demanding work, and I certainly appreciate it when local businesses provide comfy resting spaces for weary mailbox photographers such as myself.